The Cardinals won’t necessarily have a set role for right-hander Alex Reyes when he’s able to return from Tommy John surgery, writes Derrick Goold of the St. Louis Post-Dispatch. He’ll be something of a hybrid pitcher, working out of the bullpen but also making occasional starts with a goal of reaching 90 to 100 innings in the 2018 season. That, the organization hopes, will put the vaunted top prospect on track to work a full starter’s workload in 2019. The target for Reyes is still a return in early May, per Goold, who walks through Reyes’ Thursday workout and has quotes from Reyes, pitching coach Mike Maddux and others in his update on the 23-year-old. Also from Goold, right-hander Mike Mayers is forcing his way into consideration for a bullpen spot with a strong spring showing. Mayers has ditched an ineffective sinker and begun to rely less on his changeup and far more on his slider. He’s also showing improved velocity — in the 98-99 mph range at times — with a move to shorter stints out of the ’pen and a focus primarily on a two-pitch mix. The biggest change, though, is “between the ears,” as Mayers puts it in an interview that’s well worth a read. Despite brutal results in limited prior MLB action, the righty may now be ready for a full run at establishing himself at the game’s highest level. Youngster Yairo Munoz did not come to the Cards with huge fanfare, but he was a significant part of the recent Stephen Piscotty swap. As MLB.com’s Joe Trezza writes, the 23-year-old has also made a favorable impression in his first camp with his new organization. Indeed, it seems there’s at least some chance he could crack the active roster, though that’d likely mean exposing the out-of-options Greg Garcia to waivers and would cost Munoz the chance at steadier playing time. Defensive versatility is the key feather in Munoz’s hat, as he says he feels comfortable lining up all over the diamond. I would presume Munoz will spend most of the season in Memphis, playing every day. Garcia is out of options and deserves the backup role. If/when injuries arise, Munoz can easily help all over the infield. Deserves? Garcia doesn’t deserve crap.. what he has done in his tenure is be mediocre at best. Just look at his career and season lines… no player like that “deserves” a major league slot. I logged in for the first time in years to tell you how stupid you are. Greg Garcia is one of the best strictly utility infielders in the league. A guy with sporadic playing time who gets on base and doesn’t hurt you in the field is rare. Career OBP of .372, pinch hitting OBP of .400 in 2016 and .390 in 2017. Only 652 PAs in his career and he’s amassed a 3.0 WAR. For reference, in their whole CAREERS, Descalso has a 0.8 WAR in and Skip has a 1.3. Greg Garcia is a winning player and deserves a spot on ANY team. Mr Garcia, hows your son Greg doing? Good talking to ya. Lol. I just kid, good post when you look at it like that. But also, there must be a reason that managers and baseball people dont give him a better chance? He’s good, he’s not great. And you wonder how exposed he would become playing everyday. He’s been worth 3.0 rWAR over a full seasons worth of PA, while playing a capable shortstop and a .372 OBP. Of course he is deserving of a utility role. 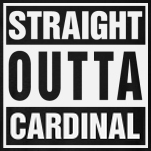 Agreed, 90’sCardinals. However, even though Garcia has earned the right as the utility infielder, the current administrative personnel have absolutely no loyalty to a player in that regard. To them, each player is a number, not a name. Therefore, if Munoz is less salary than Garcia, then Garcia will be gone. This is dumb as hell. If they had no loyalty, why would they be extending numerous guys before they needed to mutually beneficial deals? No player is above the team as a whole but the cardinals are very loyal. Plus, Garcia is under the league minimum rules for another year, so same pay as Munoz. And his arbitration isn’t going to be expensive, and having Munoz in place of him would actually start his service time, expediting his expense. The Cardinals have shown more than a little loyalty over the years. They made offers to Wainwright, Molina, Pujols, Carpenter, and others even when it didn’t make the most sense. And winning is more important than loyalty to a player. He will be going north,I’ve seen him now in person and defensively is as good as anyone on team and an excellent hitter. I’ll take a bad spring over last years bad first month+. I agree. The kid throws gas. I like the idea of Mayer closing for 2 reasons. A. He certainly has the capabilities and has shown his determination in Spring Training. And B. That just is another example of Mozeliak’s waisting ownership’s money on low hanging fruit that generally rots rather than be effective. A player like Munoz is invaluable that can play every position and with a lot of speed. He also hit 2 home runs in one game in st. He might start the season in Memphis, but I predict he won’t be there long. Unless he’s getting regular AB’s, he needs to be in Memphis. Since he’s re-worked his swing, he’s turned into a pretty interesting prospect that might have quite a bit higher upside than was thought when he came over in the trade. Munoz needs to be wherever he can play every day for a few months. greg garcia, your days in st louis are over. munoz isn’t going to be the skip, descalso, or the garcia type. he’s going to force his way into playing. If they think they have something special in Munoz, they should try to trade Garcia now. His value will only drop from here. I’ll bet somebody is looking for a utility infielder type. I think Greg Garcia an Munoz can both be on the bench. Keeping Munoz over Voit makes sense with Voit limited to 1B where Carpenter starts and Martinez is ahead of him on the bench. Voit also has options, where Greg Garcia doesn’t. Munoz ability to play all 7 positions makes him very valuable and a bench of Garcia, Munoz, Martinez, Kelly would work out. If Gregerson is healthy I don’t know if Mayers has room as much as he’s deserved to make the team. Norris, Tuivailala, Brebbia, Cecil, Bowman, Gregerson, Lyons, Leone will all be kept. Mayers has looked dominant in the outings I’ve seen with a mid to high 90s, with movement, fastball and his slider was filthy. He looks totally different than the previous 2 seasons. I could see Mayers going north and Brebbia sent to Memphis. He hasn’t looked nearly effective and they are both on the 40 man. hey 667 replace Garcia with Bader and you have a great young bench with potential. Garcia is good but he is as good as he’s going to be all these others have such higher ceiling. Time to get these kids so MLB experience rather that be on bench or not. If Garcia could get a low level A pitcher then might as well trade him. Cards667 — except Kelly is not going north. Weak bat, weak defense and poor pitch calling. Pena will be Yadi’s backup. Weak bat, but superior defense and great arm! Its been noted that the Cardinals may very well travel north with 7 bullpen arms and 5 back up position players due to the many days off in April. While I’m not a huge fan of that Idea it clears the way for a guy like Munoz to get a taste of the Big Leagues and a clear path for Reyes return. Only issue is you’ve got to can someone in the Pen. Brebbia and Sherriff would be logical unless someone like Gregorson isn’t deemed ready. If the pen continues to pitch well and Munoz continues to play well they’ve got some tough decisions to make. Tell me which one they won’t keep? They are going with 8. If Gregerson isn’t ready then Mayers makes the team. I would much prefer a 7 man pen and more bench, but they went with 8 in the pen all last year and appear ready to do it again. With starters not going as many innings though it’s probably a good idea. Garcia stays cause he is a lefty, is an excellent third baseman, adequate SS, and gets on base, especially as a pinch hitter. Munoz probably does too. He can play second against tough lefties, and has the outfield option. Voit probably doesn’t, cause he is redundant at first with Martinez ahead of him. Mercado is in the discussion, because of his base stealing ability and good defense at all three outfield spots, but the numbers don’t line up for him. Mayers is forcing his way into the picture, meaning Brebbia might be the odd man out. But Norris and Cecil will be on a short leash. Lucas has shone real promise, and Sherriff while iffy IMHO, is really the only other lefty option, but still might be an upgrade over Cecil. Maybe the Cards ought to consider a six man rotation once May comes. Flaherty and Reyes have to find roles soon. They are too good to languish at AAA. Flaherty developing in AAA won’t hurt a bit. Injuries will happen and he’ll be needed. Reyes won’t start his season until May, probably go to AAA first and then go from there. If they want him to stay around 100 innings he’s not going to start much. Cecil isn’t going anywhere. He’s signed long term, nobody is taking that contract and there is no reason for the Cardinals to eat it at this point. I don’t see Lucas as anything more than a short term filler, and have questions if Brebbia can repeat anything close to last year. I think he’s closer to the 4.13 FIP than the 2.44 ERA, but I also don’t see them sending him to AAA. If Mayers does bump somebody then it’s probably Brebbia. I honestly wouldn’t be opposed to trading Voit, Brebbia, Bowman to get a more established back end reliever, which also would open a spot for Mayers. Then Reyes or one of the other big arms. I’d probably even consider trading Jose Martinez too. Use Molina a the back up 1B to get Kelly more time. They’d both have to be the right fits though. Personally I like Pena over Kelly at this point. While Kelly is the heir apparent to Yadi, his catching in ST has not been as expected. I have seen passed balls. Inability to block pitches and questionable pitch selection. Pena, on the other hand, has exhibited solid defense, an elite arm to second, good pitch calling and excellent genes! Let Kelly play every day at Memphis and go north with Pena!